The U.S. Food and Drug Administration (FDA) announced last week it added four neglected diseases to a list of those eligible for a lucrative government incentive to promote the creation of new and better medical products for people living with neglected diseases. While the FDA’s Priority Review Voucher (PRV) program for neglected diseases is meant to reward drug developers for creating new medicines and vaccines for people affected by neglected diseases, it is ripe for abuse and has so far failed to ensure access to new lifesaving drugs and vaccines at an affordable price, said the international medical humanitarian organization Doctors Without Borders/Médecins Sans Frontières (MSF). Lassa fever, chikungunya virus disease, rabies, and cryptococcal meningitis are now among the diseases eligible for a PRV. MSF sees these diseases in the places it works all over the world and knows firsthand that improved treatment options and vaccines are urgently needed. For example, MSF sees HIV-positive people with cryptococcal meningitis in Democratic Republic of Congo, Guinea, Kenya, Malawi, and Mozambique, among other countries, and has been advocating for wider access to affordable treatments for this disease. Under the neglected disease PRV program, when the FDA approves an eligible neglected disease product—a medicine or vaccine—a company is awarded a PRV. This voucher can then be used to accelerate the FDA review of any of the company’s drugs or vaccines. Alternatively, the company can choose to sell their voucher to another company, as has been done for as much as $350 million. If the incentive worked properly, developers would be rewarded for making available new and improved neglected disease products, and people affected by neglected diseases would benefit from urgently-needed new treatments and vaccines. 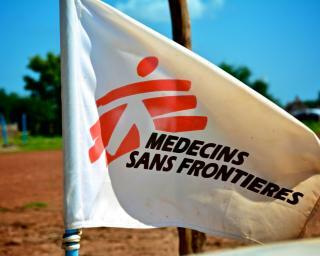 Given the many unmet medical needs MSF doctors face daily, the organization has been advocating for years for adequate and improved research incentives to promote patient-centered medical innovation that delivers needed and affordable products. However, companies have been rewarded with PRVs for simply registering an existing medicine in the US; products do not have to be new or provide clinical benefit, and the company does not have to make the treatment or vaccine accessible and affordable for people in need. Time after time, PRVs have been awarded for a treatment or vaccine that is either not new, not accessible or affordable, or both. This does little for people affected by neglected diseases and undermines the potential value of the program as an incentive to create truly beneficial new treatments. For years, MSF has been calling on Congress to fix these loopholes so the program works as it was intended to work and helps people in need of new medicines and treatments. “As a medical humanitarian organization, we see firsthand the need for incentives that promote the creation of medicines and vaccines to treat people living with some of the world’s most neglected diseases, but simply adding new diseases to this list won’t help people much if the loopholes in the program itself aren’t fixed. “The PRV program has a history of being misused by pharmaceutical corporations to rake in hundreds of millions of dollars without truly delivering for people with neglected diseases all over the world. Handing out PRVs for medicines and vaccines that aren’t offering patients new and affordable options to treat their illnesses undermines the program as an incentive for companies to invest in creating truly needed products and ultimately means patients will continue to suffer.